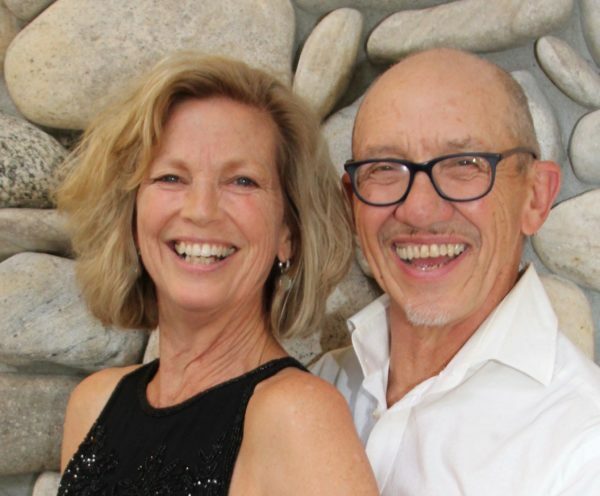 With over 30 years of teaching social dancing and dancing together for 17 years DancZenSV owners Dale & Peggy Bates know how to spread the Joy of Dancing Together. Following his passion for dancing Dale learned how to dance the traditional way…by going to great dance clubs and learning from watching and dancing with great dancers. He brings his experience from Austrian Tea Bars, Indian Discos, L.A. Cuban Clubs, and most of all from Chicago South Side Blues venues. Peggy uses her 30+ years of yoga practice and a great ear for rhythm and music to interpret dances in her own unique way. Focusing on social dancing rather than competition & performance, they teach the natural way to dance to any music anywhere. They offer a series of creative and fun dance workshops, social dance evenings as well as private dance lessons and custom Wedding Dance Packages. 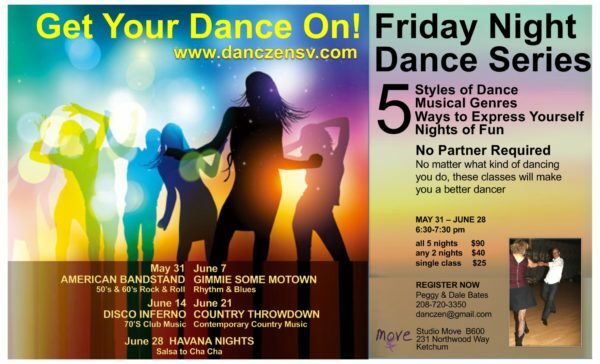 Their Friday Night Dance classes give everyone the opportunity to learn new dance moves and patterns to a variety of music without a partner. “Fundamentals of DancZen” with Dale & Peggy Bates. We thoroughly enjoyed your Fun-damantals dance class, and would recommend it to anyone who wants to learn to dance. You presented excellent, well-planned classes that were easy to follow and lots of fun. Compared with a few other lessons we’ve taken, yours were by far the best. You guys rock! Two great instructors, one fun time for every couple! And you learn new steps and new dances. Dale and Peggy have developed an easy, simple, and fun system of teaching the dancing basics so folks can get up and partner dance remarkably quickly and smoothly. We noticed huge improvement right away and highly recommend their classes to all. Having taken two workshops I now have the confidence and skill to feel comfortable and to be a supportive partner on just about any dance floor be it Ballroom, Western Swing, Latin or Jazz. These classes have greatly improved my basic dance skills and most importantly given me a clear understanding of my role as the leader.